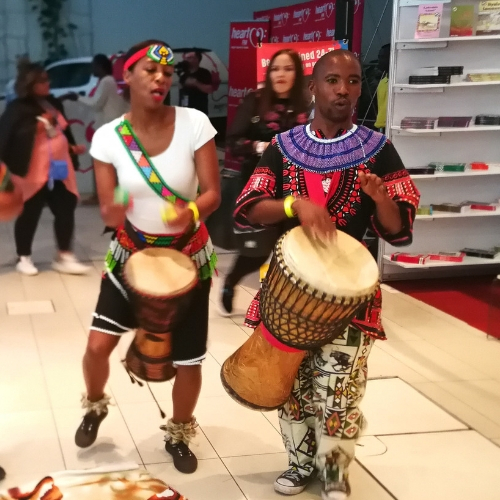 The Cape Town International Jazz Festival is an annual event that Cape Town has come to embrace since 2000 – initially as part of the North Sea Jazz Festival. Every year at the end of March, or beginning of April, the event unfolds, opening its arms for local jazz lovers and international visitors alike. 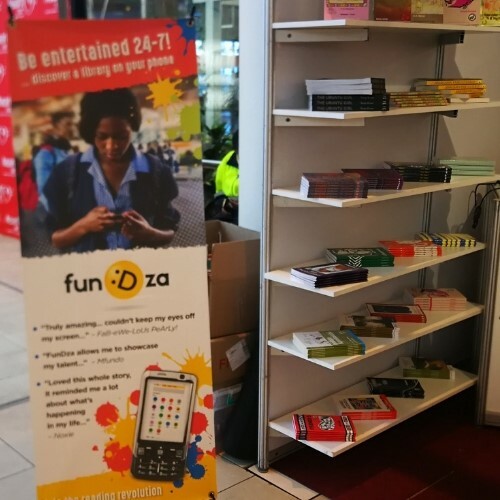 This year was slightly different – in a fun way – as FunDza’s, Zilungile Zimela, and Alonzo Naude, were invited to man a stand with the Department of Arts and Culture to promote the love of reading and writing. And what better way to do it than with the soothing sounds of jazz in the background. With stacks of books, carefully selected for the young and old, brochures of our work, and a screen to show people our mobile library, we were set for the two day extravaganza. The jazz and the excitement abuzz in the space did not distract avid book lovers from stopping by our stand and enquiring about our books. 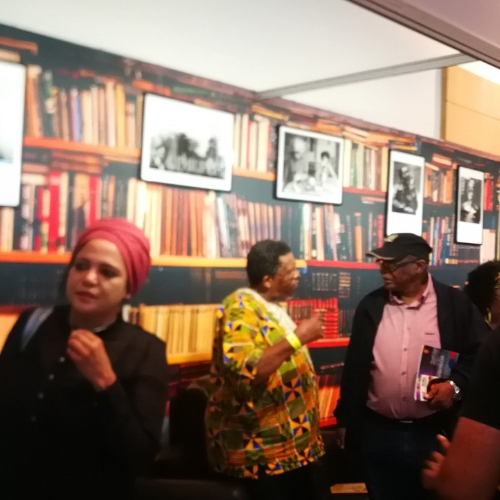 Equally important, and worthy of mention, is the great opportunity we were afforded of meeting the Minister of Arts and Culture, Nathi Mthethwa, and seasoned Sesotho author, Dr Winston Mohapi. 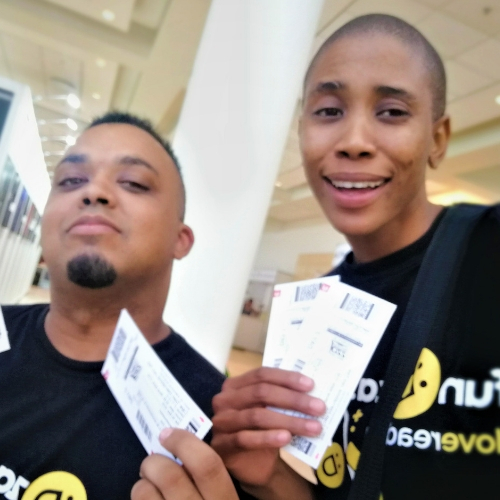 Thank you to Dr Zola Peter, from the Department of Arts and Culture, who ensured that FunDza was part of the 2019 Cape Town Jazz Festival – with an all access pass! The long hours and fatigue did not add up to the amount of joy we experienced while promoting reading and writing to an enthusiastic crowd of jazz and book lovers.